The Met Office has issued a yellow warning over anticipated snow and ice in the north and north-east. The icy conditions in the north-east have led to a number of crashes this morning. A minibus has come off the A92 Stonehaven to Inverbervie road near Catterline. A police spokeswoman said that there were no passengers in the vehicle at the time. Police were notified of a lorry skidding on the ice on the A90 at Station Road in Hatton. Meanwhile, a car slid off the road into a fence on the B9002 at Insch. Emergency services were notified of the incident at 6.29am. On Foresterhill Road in Aberdeen, near Aberdeen Royal Infirmary, one vehicle slid down a hill and crashed into another vehicle at around 7am. 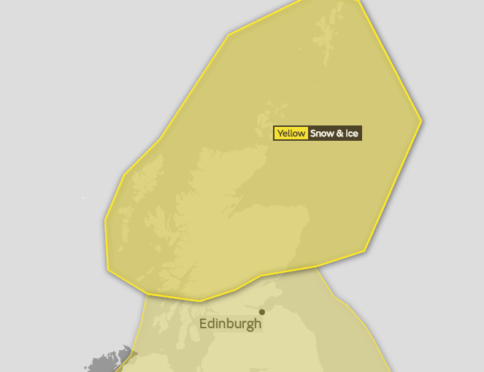 The Met Office issued a yellow ‘be aware’ weather warning yesterday, with snow and ice forecasted for the north and north-east today. Police are urging drivers to reduce their speeds and allow extra time for their journeys this morning. Police Scotland would like to advise road users of poor conditions in Aberdeenshire due to ice and snow. The roads are currently passable with care.